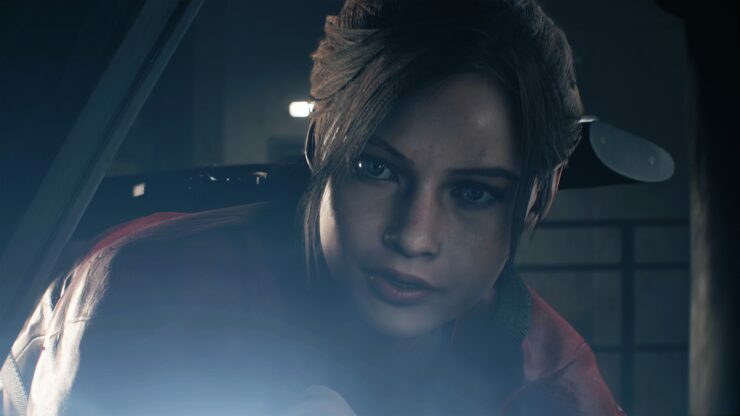 Talking to Metro GameCentral during Gamescom 2018, Game Director Kazunori Kadoi and Producer Tsuyoshi Kanda discussed the key concepts for Resident Evil 2 remake’s visuals as well as the advanced techniques they used to make it feel almost movie-like in quality. Kazunori Kadoi: The RE Engine is, as you said, the same one from Resident Evil 7 biohazard. Over the process of developing several games with it now we’ve been able to get better at using it and we’ve been able to fine tune the engine as we go along and improve it. So I’m glad to hear you thought it looked good and were able to see an improvement over Resident Evil 7. Our key words for the graphic concepts this time are ‘wetness’ and ‘darkness’. And we’re trying to make it so we have this almost tangible, wet gore that you see on-screen. It isn’t just red-coloured gore, it actually feels really realistic and jumps off the screen at you. That realism also comes across in the characters as well. We’ve used photogrammetry to scan models and add that into the game, and then animated them. So I think every aspect of them really leaps off the screen as feeling almost like a movie-like quality. Also, a less visually obvious aspect of the engine is that the way it’s designed is that it really helps us iterate very quickly, when we’re developing. So we can put things together very quickly and get them up and running, and see how they look. And we can do a lot of process of trial and error, because it isn’t taking a lot of time to commit to things. And that really helps us to work towards getting the kind of visuals you want to express. Tsuyoshi Kanda: The performances are using full body performance capture, so we’ve got the scanned models who provide the appearance and we’ve got the full performance captures that can be implemented directly in the game. But we actually don’t just put them in and call it a day, we take a look at how the performance feels in a game and then we go in by hand and fine tune aspects – whether that be facial expressions, lighting, detail character animation moments… All those things are actually a level above just a performance capture; it’s also got a certain kind of craftmanship, an artisanal quality. That realism also forced CAPCOM to make some changes compared to the original Resident Evil 2, though, as the two developers had pointed out last week. The Resident Evil 2 remake is shaping up to be great, at least according to the hands-on Chris had at Gamescom 2018. The release date is set for January 25th, 2019.